This month France’s centre/right voters will decide who will represent them in next year’s presidential elections – and François Bayrou, leader of MoDem, the Mouvement Démocrate, has called on supporters to back Bordeaux mayor Alain Juppé in a bid to avoid splitting the centre vote. 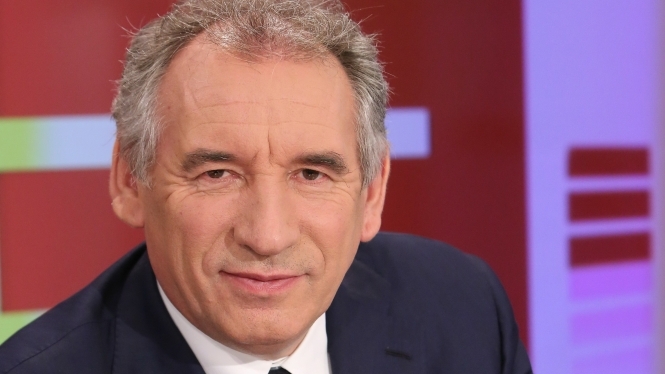 Mr Bayrou, 65, has already fought three presidential elections and says he will only stand in 2017 if his enemy, Nicolas Sarkozy, beats Mr Juppé to be the candidate for Les Républicains. He said he would then be obliged to “exercise my rights and fulfil my duty to the people”. However, his position has not been helped by a weakening of support for his party and the loss of members of his inner circle, with two party vice-presidents leaving. One, Robert Rochefort, was forced to step down after being arrested for indecent exposure but the more damaging loss was that of Jean Lassalle, a life long friend and MP in Pyrénées-Atlantiques, who is so disenchanted he is running for president himself. Mr Lassalle, 60, said: “I could not continue with Bayrou. Things hadn’t worked for 30 years and they are not going to work now. We’d come to the end of our time together. However, I really did think, 10 years ago, that we would reach the end side by side. As former head of cabinet for Mr Bayrou’s close friend Pas-de-Calais Senator Jean-Marie Vanlerenberghe, Mr Delabre admitted to disappointment that MoDem was not as strong as centrist parties in other European countries. Mr Bayrou does not agree, saying on Twitter “MoDem has an important role to play in politics and it will prove so during the next elections”. Mr Delabre, however, said a major part of the problem relates to the 2012 presidential election when Mr Bayrou supported François Hollande in the second round. That call cost him dear: the same year rival centrist group UDI, Union des Démocrates et Indépendants, was created and another of his disenchanted friends, Jean-Christophe Lagarde, is its president. Ludovic Bous­quet, vice-president of the UDI in Gironde, left the party at that time. He said: “There are hardly any real differences between the two main parties, only strategic differences. I decided not to renew my MoDem membership and join the UDI. Since then Mr Bayrou’s biggest success has been to become mayor of Pau in 2014, having previously been an MP for the region since the start of his career in 1986. Despite the falling number of votes MoDem wins in each election, Mr Bayrou is still seen as one of the most popular French politicians. Mr Bousquet said: “The most popular person will not necessarily pass the first voting round. This is the challenge the centre has to overcome but has never managed to do. A family man, Mr Bayrou and wife Elisabeth, a classics teacher, have six children and commentators say he, himself, is not the problem, but rather the party, as an elitist organisation. In his book, La France Solidaire, published in 2012 as his election manifesto, Mr Bayrou praises the “values of the Republic” but added that liberty, equality, and fraternity made it hard to deal with “Real­politiks, the politics of the reality”. Earlier, writing 18 months into Mr Sarkozy’s mandate, in 2009, another book, Abus de pouvoir, he revealed his hatred for his rival’s lust for power. He describes his animosity as like “Rome against Carthage or Athens against Sparta”, rather than personal hatred but the portrait he paints of an egocentric, ignorant, childlike person may provoke different ideas. On Alain Juppé he says: “Many people find him annoying, but I find him interesting. Intro­vert. Extrovert. Abrupt. Emotional. Wanting to escape the political universe that he knows is nothing but mediocre”. Political commentator Emmanuel Rivière, of pollsters TNS-Sofres, told Europe 1: “In backing Alain Juppé, François Bayrou clarified the divide that is opening up between the two rights, one turned towards the centre the other towards the very right-wing. Polls have shown that while Mr Sarkozy draws his support from the right, Mr Juppé is backed overwhelmingly by centre voters and Mr Bayrou’s views carry real weight with them. Looking to the 2017 election, Mr Bayrou seems isolated. However, one hypothesis could see results: if Mr Sarkozy is chosen as centre-right candidate and François Hollande also stands again, he could gain from the general public disdain for the two candidates. Voters could be seduced by a more moderate candidate. “Plan B”, as they say, “is Bayrou”.